By now, most people in South Korea know the national team’s victory over Japan in the Asian Games football tournament secured not just the gold medal, but also an exemption from military service for Tottenham Hotspur’s Son Heung-min. The win also brought global attention to a simmering social and political issue in South Korea. All male South Koreans aged 18 to 35 undertake mandatory military service. Most start in their early 20s, disrupting tertiary education or postponing career entry. For most, mandatory military service includes five weeks of boot camp, and around two years of mind-numbing battalion boredom, indoctrination, and short bouts of intense training. Understandably, few want to do military service. South Korea is a country going through momentous social change. What commenced with economic development in the 1980s, and continued with political development in the 1990s, continued into the 2000s with social change. But since the 2010s, youth unemployment, economic instability, gender inequality, corruption and social immobility has led to growing social dissatisfaction with the pace of this change. Critics argue South Korea’s mandatory military service system is more likely to train recruits in make-up and skin care, than it is to prepare them to defend the country. Mandatory military service is an ever-recurring source of social dissatisfaction. 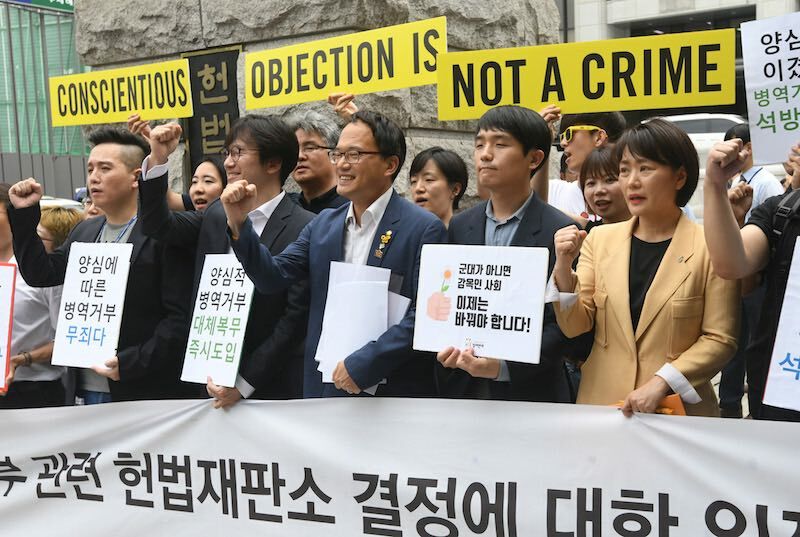 Controversies include corruption, easier service conditions for celebrities, dual national service obligations, bullying, and an outdated criteria for exemptions. Exemptions to military service are the latest controversy. There are currently no exemptions for conscientious objection, something the government is looking into after a June 2018 Constitutional Court decision required the government to provide alternatives forms of national service. Exemptions for having excessive tattoos, being overweight, underweight, having certain medical conditions, holding foreign citizenship and/or residency, being of non-Korean ethnicity, and studying in fields deemed of national importance, have all been restricted. Exemptions are given to high-achieving sports figures, artists, classical musicians and dancers, but controversially, not to high-achieving pop culture stars, actors or film-makers. Mandatory military service historically serves two broad aims: national security and nation building. It can act as an important force multiplier in periods of national emergency, and can equally act as an important social equalizer, reinforcing the individual’s connection to the nation and society. For many South Koreans, its current form does not fully reflect either of these aims. Debate is emotional and muddied by nationalist rhetoric and political ideology. On one side are those who see mandatory military service as a bulwark. It is seen as essential in the context of North Korean contingencies, ranging from invasion to collapse. Equally, it is seen as essential in the context of the fraught geopolitical situation amid US interests, Japan, China and Russia. Some also see mandatory military service as a bulwark supporting South Korean traditions and society. It encourages social connection, conformity, hierarchy, and a shared sense of national pride. Among those having completed their service, popular sentiment has it that the experience “makes boys into men” – even arguing that it’s essential to understand and survive South Korea’s work and corporate culture. On the other side are those who believe that the current mandatory military service is an obstruction. It is seen as outdated and ineffective in the context of national security. Countries facing similarly fraught geopolitical situations do not restrict service to just one half of the population and allow exemptions for conscientious objection. All Israeli citizens undertake mandatory military service, with females serving around two years, and there are stipulated exemptions for religious students. Critics argue South Korea’s mandatory military service system is more likely to train recruits in make-up and skin care than it is to prepare them to defend the country. 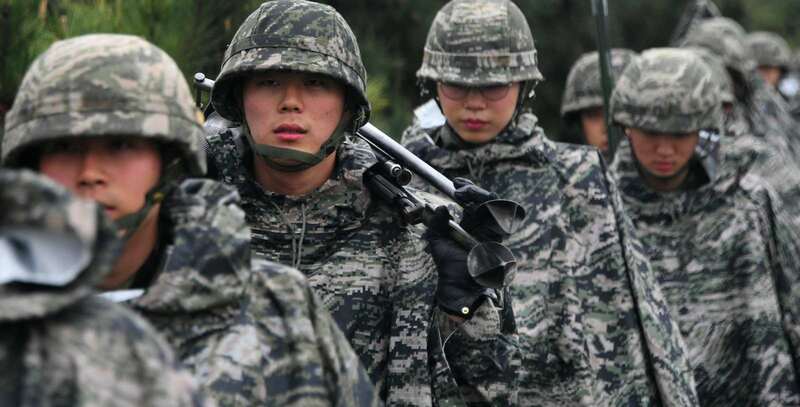 Others see mandatory military service as an obstacle to transforming South Korean society. It discourages diversity and inclusion, further marginalizes the socially estranged, and above all, buttresses entrenched gender inequality. Reforming South Korea’s military service system is a political can of worms with few clear options. Abandoning mandatory military service in favour of an expanded volunteer professional service would serve national security aims, but at the same time, would not serve nation building aims. Restructuring military service into a non-compulsory, better-paid, reserve service would serve both national security and nation building aims, but would potentially reinforce social and economic inequalities. Restructuring mandatory military service into a modern institution to strengthen diversity and push gender equality would serve nation building aims, but would potentially neglect national security aims. The Moon Jae-in administration currently plans to reduce mandatory military service to 18 months. In face of recent events, it’s also promised to review the military service exemption system. Both plans are already attracting controversy, and there’s little political will to push for further reform. With declining birth rates; an ever-present, albeit momentarily reduced North Korean threat; and smoldering social dissatisfaction regarding its management; mandatory military service will remain a simmering social and political issue for South Korea – but not for Tottenham Hotspur or Son Heung-min. The DPRK has a lot of practice in sending missiles up. It does not seem to have practiced so much on getting things down.